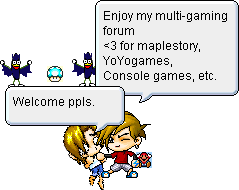 Welcome to TehGamerz, Sign up or Leave a message as a guest! Read these Rules, and obey them. TehGamerz games! All guests and members welcome to help, or post on topics. General Chat. talk about anything. General Announcements, Announcements that are not so serious as forum announcements, but general. Talk about youtube, post videos! Microsoft games and console-related things. Share created games by gm, flash, or anything like that. General guest topic, members and guests can chat. Please Authenticate yourself before using the topics and replying to threads.